Reaching start at the East Coast Windsurfing Festival! 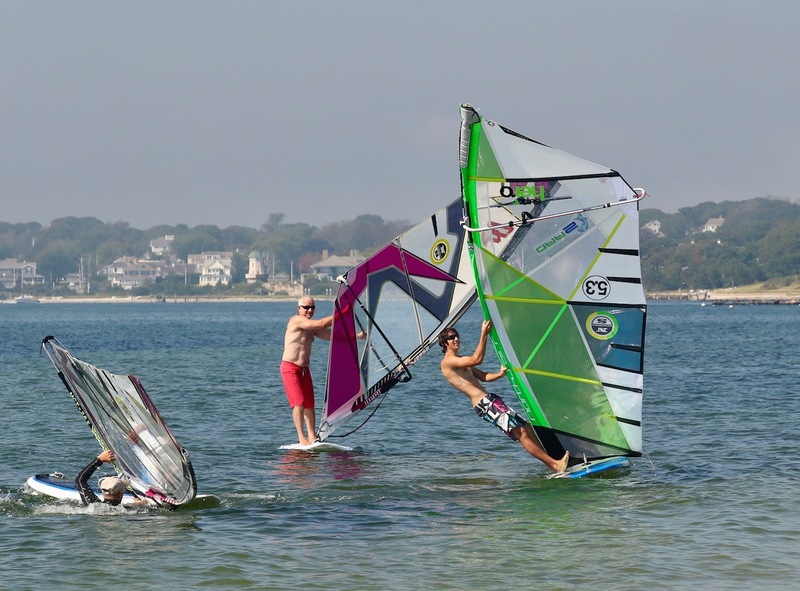 It is that time of the year when Peter (Richterich) and I are getting ready to organize our yearly windsurfing event here on Cape Cod! 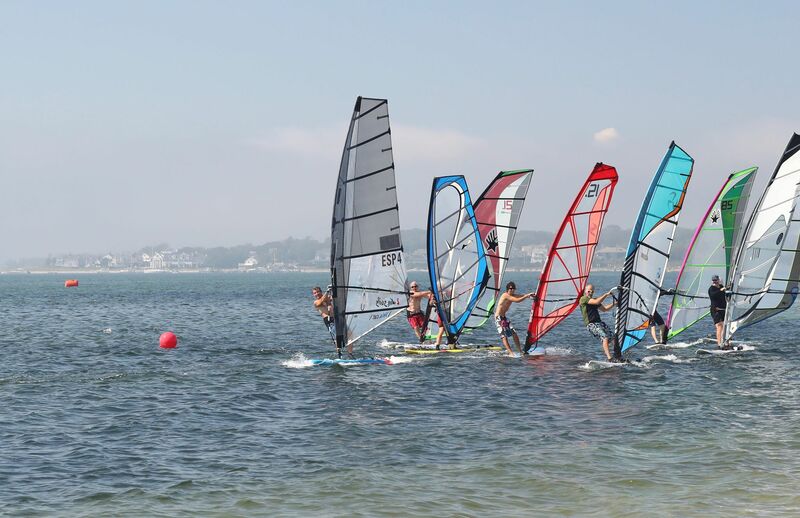 The 6th edition of the East Coast Windsurfing Festival (ECFW) will take place at Kalmus Beach in Hyannis, MA on September 15-16. If the weather forecast looks bad, we’ll hold the event the next weekend (Sept. 22-23), but we’re very good at finding the right combination of disciplines for every wind, so come prepared and we promise you plenty of action regardless of the conditions. 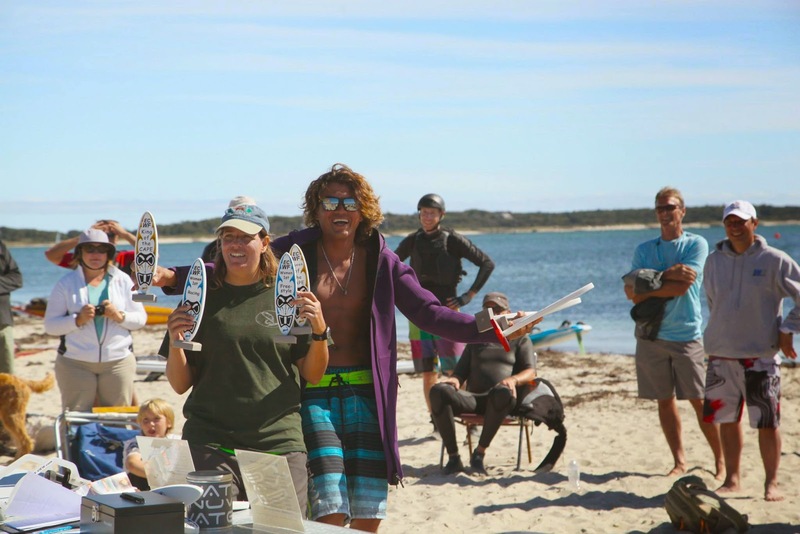 Over the years, we’ve run triangle course racing on longboards, slalom racing in high wind, SUP relay races in no wind, any kind of freestyle you can imagine, GPS racing, clinics with top freestylers and racers, demo gear at the beach, and a raffle for all competitors. We’ve done it all! Defying gravity at the freestyle competition! The beauty about the ECWF is that you can join the fun with any gear. 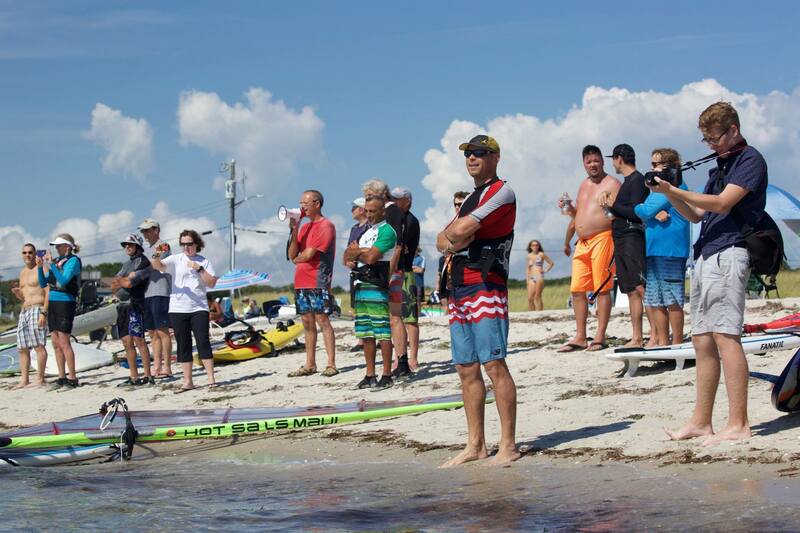 We have different racing classes for people who just want to use a SUP or their wave gear, old and new longboarders, slalom guys, you name it… Freestyle is done in any wind, and, at the non-pro level, it’s a lot more about entertaining the crowd on the beach than making perfect moves! I guess what I am trying to say is that as long as you show up, you are pretty much guaranteed to have some fun. Actually having fun in “interesting” conditions is part of how the event came into life. A year before Peter and I started to organize the ECWF on Cape Cod, we participated in a revived Buzzard’s Bay Crossing. It was cold, it rained, there was shorebreak and I think 14 participants. Races were run without schedule or announcements and scorekeeping simply didn’t happen sometimes, but we had a blast! Actually, we had so much fun that on the evening of the last day, we figured that if windsurfers were so amazingly positive that they found the fun in pretty much any conditions, then we could create our own event – after all, what could go wrong? Caesar and Jeanne: trophy hoarders! The result has been five amazing windsurfing festivals, with participation from people like freestyle world champion Kiri Thode, flowstyle master Caesar Finies, and fastest man in America Boris Vujasinovic. I can’t wait to see what this year brings, and hope to see you all at the beach! Fanatic demos with Vincent Lindauer! Next story Big breeze at a Junior Event? No Problem! Previous story Maui slalom secrets: time your starts and dodge turtles!